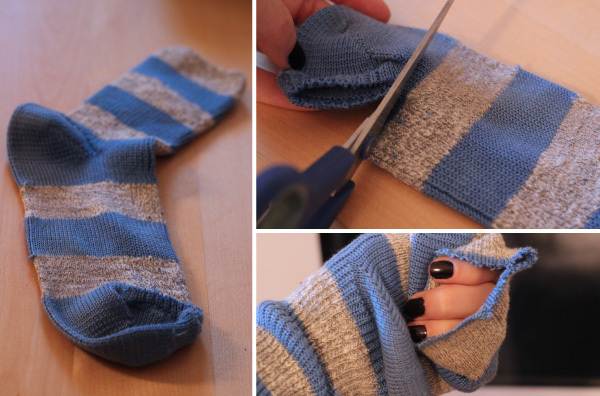 1.Use the scissors to cut the tips of the toes off each sock 2.Begin rolling the first sock to create a ring shape. 3.If you want a larger insert, place the end of the unused sock around the sock ring and continue rolling until your sock bun has doubled in size.... 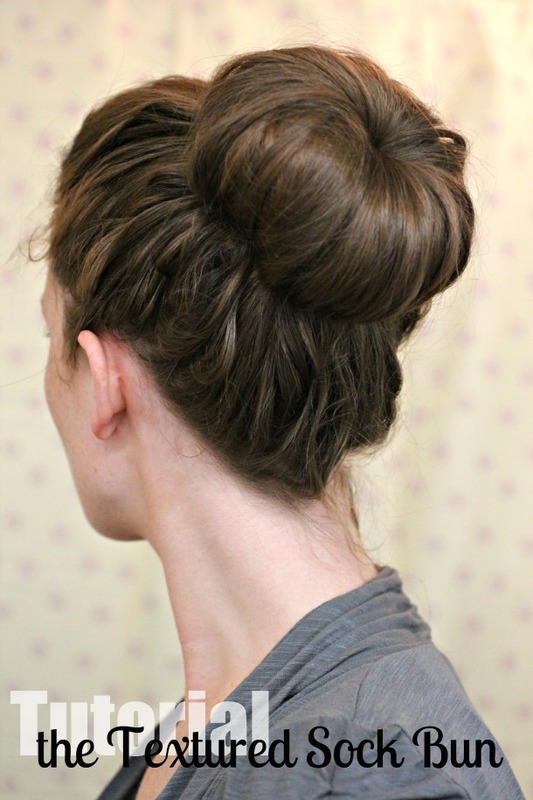 I use a child sized sock and then cut a little extra piece off of the sock and put it around the finished bun to hold down the little ends that don’t quite tuck in. The curls don’t look exactly like in my photo – but they look great on her hair. To start the styling procedure, first of all get a clean sock of your hair color. Cut the toes out of the sock so that it makes a tube and roll the sock up so it looks like a doughnut.